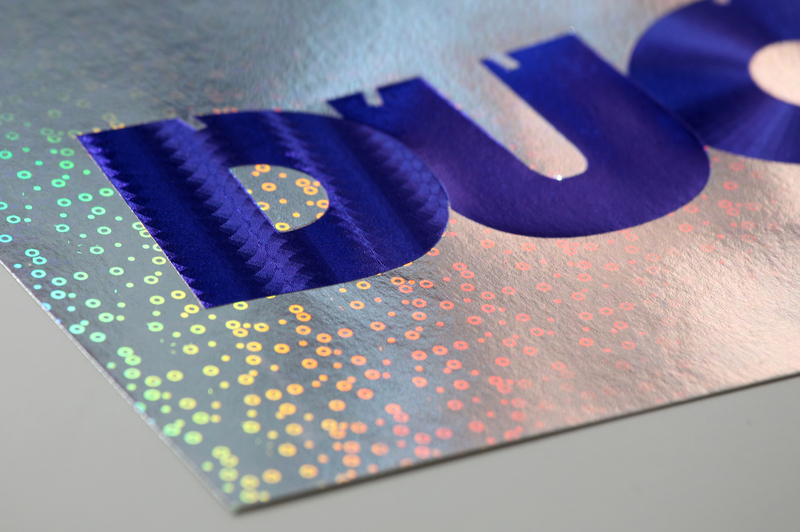 The exact opposite of embossing – debossing pushes your image into the sheet giving a sunken finish instead of raised. 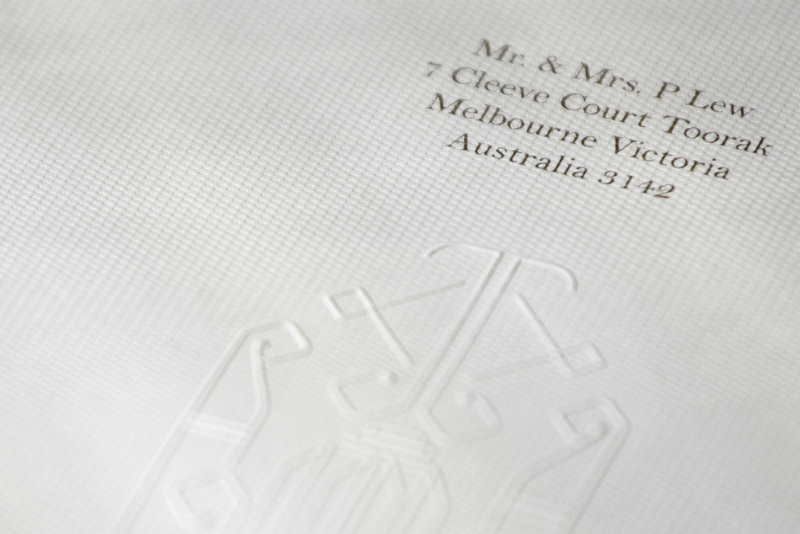 The purest form of embellishment – embossing is simply making your image stand up by changing the shape of the sheet. There are absolutely no materials being added to the stock. 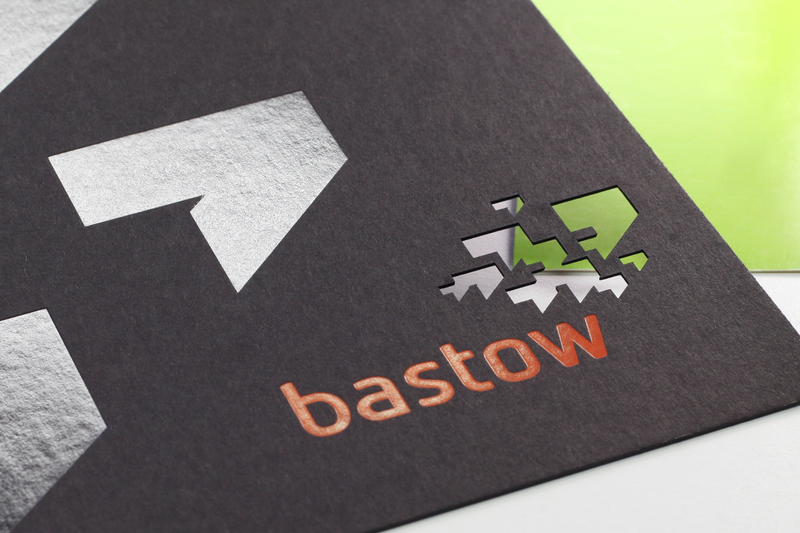 For the highest of quality where nothing else can compare. 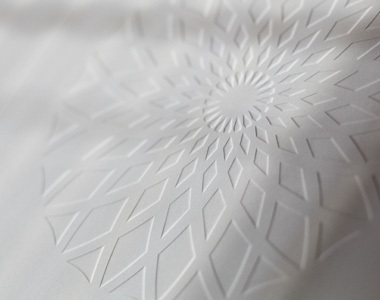 Our laser cutting process is limited only by your imagination.